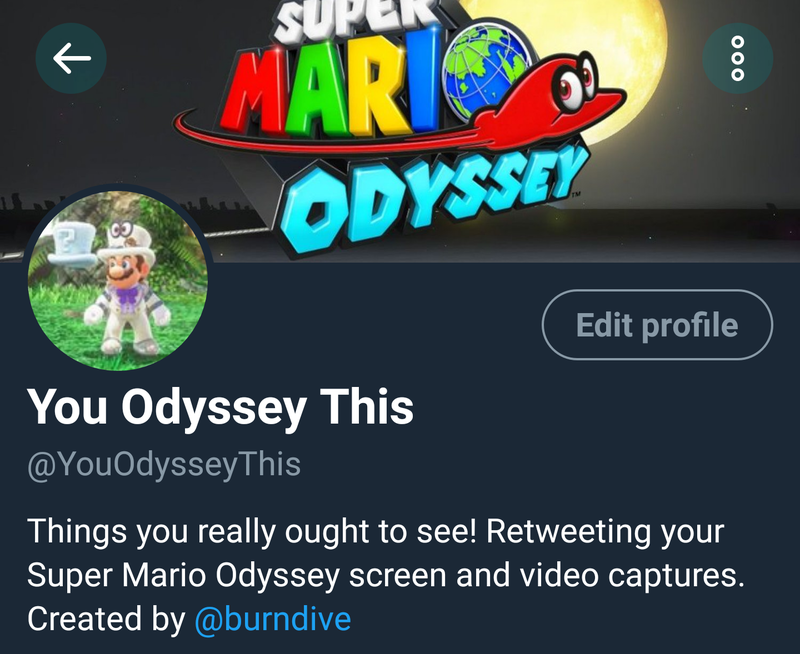 burndive: apps: You Odyssey This! 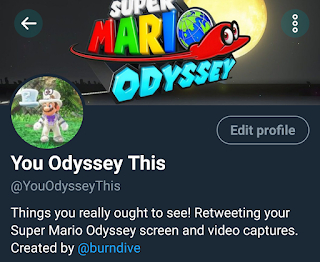 I made yet another Twitter bot: @YouOdysseyThis. It does the same thing that @SheikahMemories does for Breath of the Wild, but for Super Mario Odyssey. All I had to do was modify a few strings and create the account, so I was able to do it all on my phone from a thousand miles away. My laptop isn't working, so my phone is all I have right now. As of right now it's having trouble keeping up with real time , since there are so many people playing the game and posting their screenshots and videos. Hopefully this will settle down soon. Update: I've scaled it back so it only retweets a certain percentage of qualifying tweets, and that seems to be working. twooshbot is dead. Long live twoosh_bot!